You can see all default categories and sub-categories. 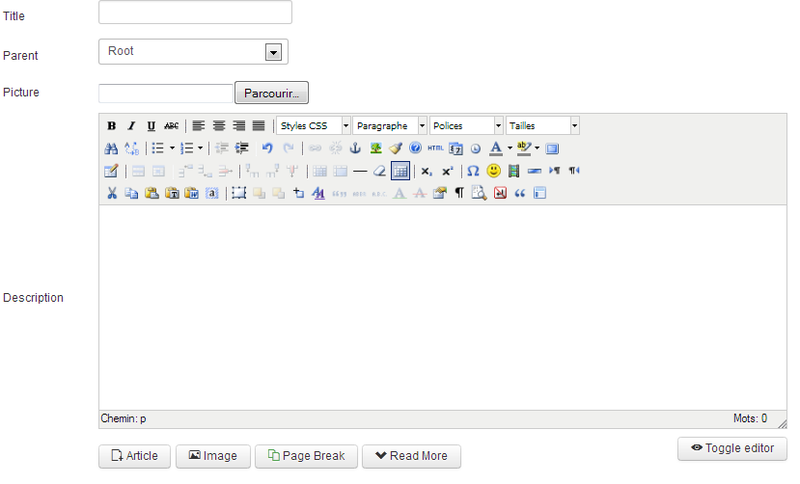 The black exclamation mark only appears if you are in Joomla! 3.x it allows you to rearrange the subcategories within their parent category. You cannot put "SubCat1" in "Category 2" but you can order "SubCat3" before "SubCat1" by dragging the black exclamation mark up or down. You can see pictures assigned to each category and a button ads. Clicking on the button ads in the first row redirects to the page list of ads in administration filtered to display the chosen category. 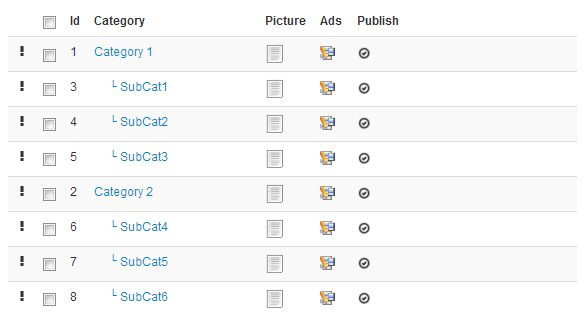 This view is pretty simple to understand and very similar to create a category in Joomla! Give the category a title, location, picture (check out limitations here) and a description. 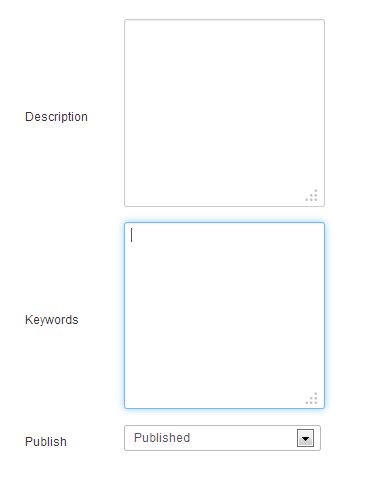 You can assign keywords here whether they are published. You can set a limit of ads per user for your category, you just have to fill the field with the limited number that you want. The -1 value is a unlimited number of ads. You can also limit the access of your categories to a chosen user groups. Two options are available, 'Read' will limit the read access of the category to the users in the authorized groups, 'Write' will limit the write access of the category to the users in the authorized groups. Congratulations, you have just created a new category!